Navdurga which means Nine Durga that is nine different forms of Durga. Devi Shailputri : She is the very first form among the different roops of Durga and is also known as the “Daughter of Mountain”. Devi Brahmacharini : Brahmacharini is the second form Durga. Goddess Parvati was a great Sati. her unmarried form is worshipped as Goddess Brahmacharini. 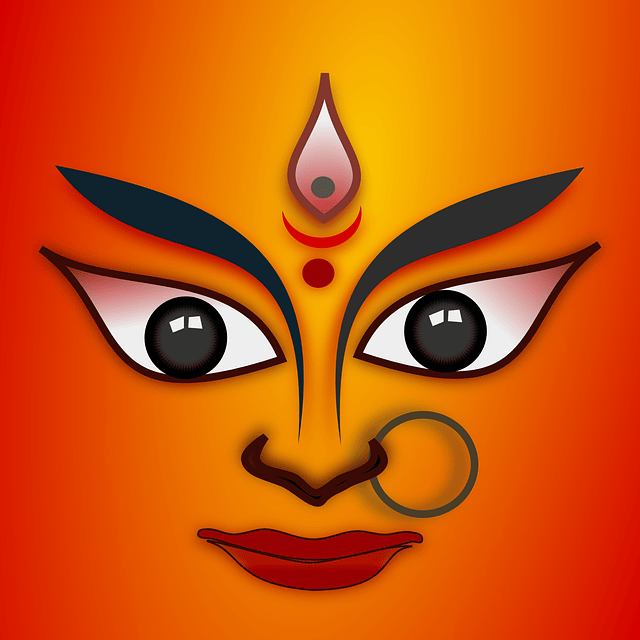 Devi Chandraghanta : The name of the third form of Goddess Durga is Chandraghanta. This form is identified by the half-circular moon on her forehead. Devi Kushmanda : Kushmanda is the Goddess who has the power and capability to live inside the Sun. Devi Skanda Mata : Parvati became the mother of Lord Skanda(Kartikeya) and known as Skanda Mata. Devi Katyayani : The sixth form of Durga is known as Katyayani. To destroy Mahishasura, Parvati took the form of Goddess Katyayani. It is warrior form of Parvati . Devi Kalratri : Kalratri means dark as night. Devi Maha Gauri : The eight form of Goddess Durga is known as MahaGauri. Due to Durga’s extreme fair complexion she was known as Goddess Mahagauri. Wishing U Happy Chaitra Navratri! And the ability to be tough. Have a Happy Chaitra Navratri! Have a great Chaitra Navratri! May Goddess Durga protect you from all the problems in life. This Navratri may there only be happiness in your life. Wishing you a happy Navratri! May these auspicious days of Chaitra Navratri bring no struggle and no envy for everyone… enjoy a blessed Navratri this year!